Starboard Value, the Jeff Smith operated activist fund is urging Yahoo Inc to drop its plan of spinning off its share in Alibaba the e-commerce giant based in China. 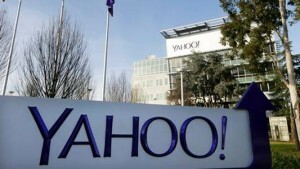 Starboard said instead that Yahoo should sell its display and search advertising businesses. The company should maintain its stakes in Yahoo Japan and Alibaba, Starboard said in its letter addressed to the board and management of Yahoo dated Thursday. Yahoo should also hire a strong financial adviser to sell its core businesses, added Starboard. The market, said Starboard does not have a good view of the current strategy of the company. Based upon our evaluation of the option that are risk-adjusted that Yahoo currently has available to it, as well as the assessment by the market of the current strategy with the risks thereof, it is Starboard’s belief the board must open itself up to changing direction. Starboard increased its stake by 100% in Yahoo during the third quarter after it had earlier sold part of its holdings in the giant Web portal. The investor, one of the most prolific activists in the U.S., typically targets small as well as mid cap public companies that it believes have been undervalued, pushing their executives as well as director to make changes such as assets sales and unit spinoffs. It marks somewhat of a shift from Smith’s tone earlier in 2015. Starboard in January urged CEO Marissa Mayer to steer its riches from its stake in Alibaba to shareholders in a manner that was the most tax-efficient possible. Those comments came prior to the announcement in late January that Yahoo was indeed pursuing a spinoff that was tax-free of its Alibaba stake of 15%. However, the plan it more complicated now with a possible challenge by the IRS to this transaction increasing as a threat. Smith revealed as well that he privately has pushed for a seat on the board four times in the same amount of months and each time has been rebuffed.